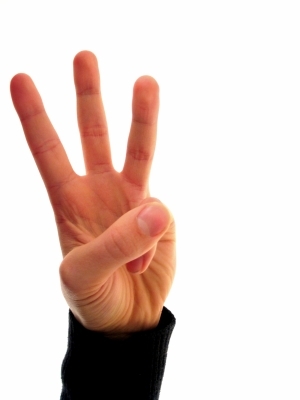 If you’re new to disaster preparedness, you may not be familiar with the Rule of Threes. The Rule of Threes, like most rules, is a useful guideline. It’s not intended to be an absolute. One of the first rules of planning is to recognize that there are no absolutes. There are two types of plans: those that have failed and those that may fail. Knowing that there are no absolutes and recognizing that any plan can fail, one can utilize the Rule of Threes to develop one’s plan … and one’s contingency plans. As an ancillary to The Rule of Threes, if you require medical treatment (either ongoing or immediate) or first aid, you may not survive long enough to find out if the other rules apply. So, as you make your plans and preparations, keep The Rule of Threes in mind. I’ve seen a lot of people’s Bug-out Bags (BOB’s) filled with weapons and ammo and food with little consideration given to air, shelter or water. I won’t argue the fun in acquiring weapons and ammunition. However, if you can’t breath clean air, weapons and ammunition are unlikely to be of much use … unless you can quickly trade them for a gas mask or dust mask. This entry was posted in Basics and tagged disaster, disaster planning, disaster preparedeness planning, disaster preparedness, emergency, plan, prepare, preparedness, prepper, rule of threes, shtf, survival, survival basics.